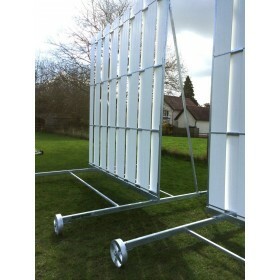 PVC Lattes can be provided to replace the flexible plastic screenboards fitted to our Club PVC cricket sight screens. Lattes can be supplied in one or more units. 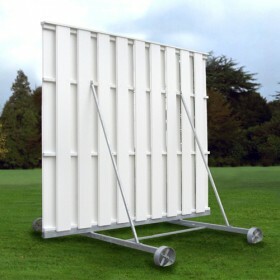 Note: If wishing to replace lattes in PVC screens manufactured by others, it would be wise to measure existing and contact us to discuss what is required.